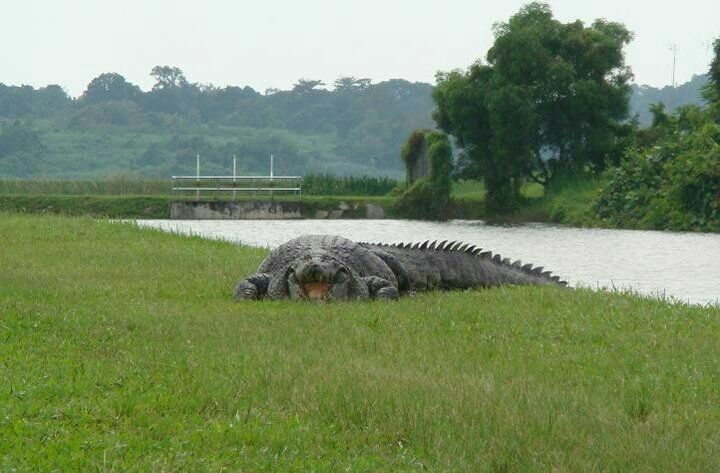 Received a pic of crocodile crawling up onto a fairway. Tot is spotted at marina area? WOW! Curious to know which course? Confirm it is not OCC. OCC doesn't have such landscape. Is it raffles country club? Who will dare to take photo at that short range even zoom in, is fake. That's a biggy, I think that croc ate all the golf balls in the pond to grow to that size!